Need clips to install Christmas lights on a flat roof? Combo C clips are tailored for installation on a flat roof. Install them semi-permanently with small nails or screws (not provided) or if necessary they can be installed with silicone. 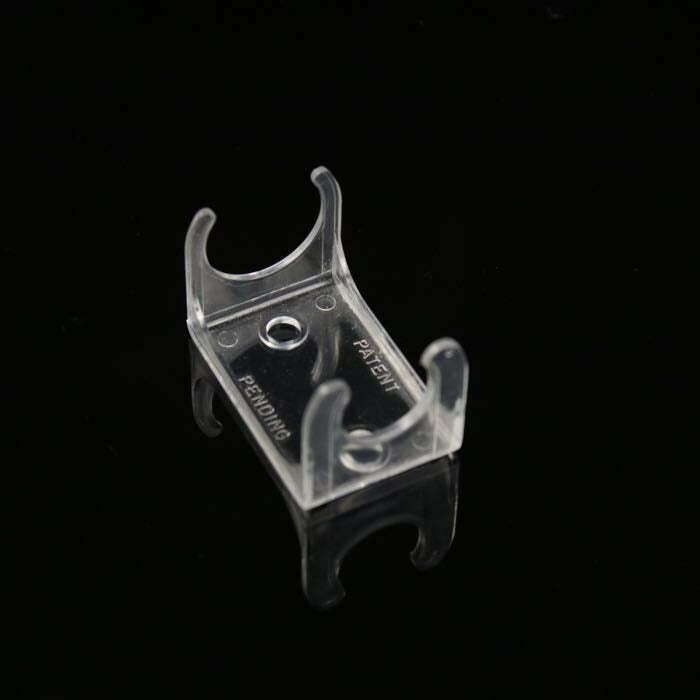 These clips are manufactured with a UV resistant rigid plastic. As you can see from the photo, one side is smaller for C7 bulbs and the larger side is tailored for the larger C9 bulbs. 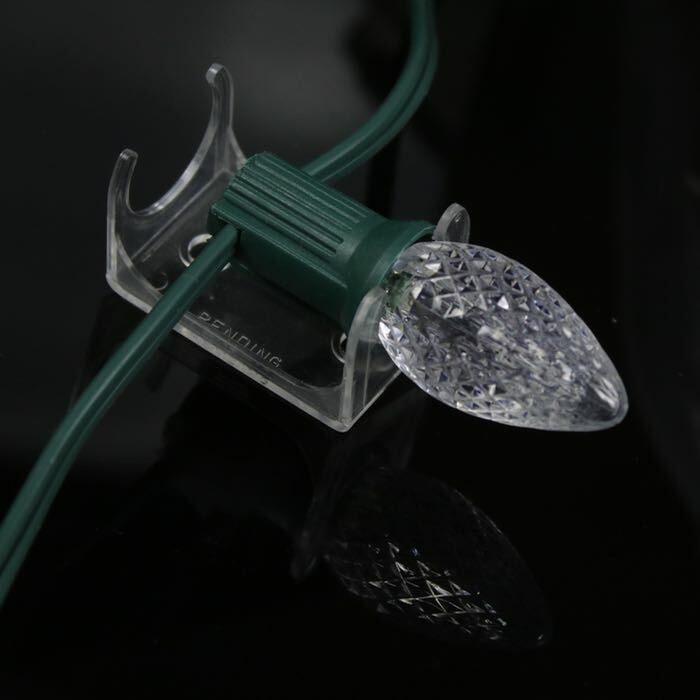 These clips work with only with traditional 2-piece C7 or C9 stringer wire and bulbs light strings. They will not work with pre-wired mini lights or LED Christmas light sets. 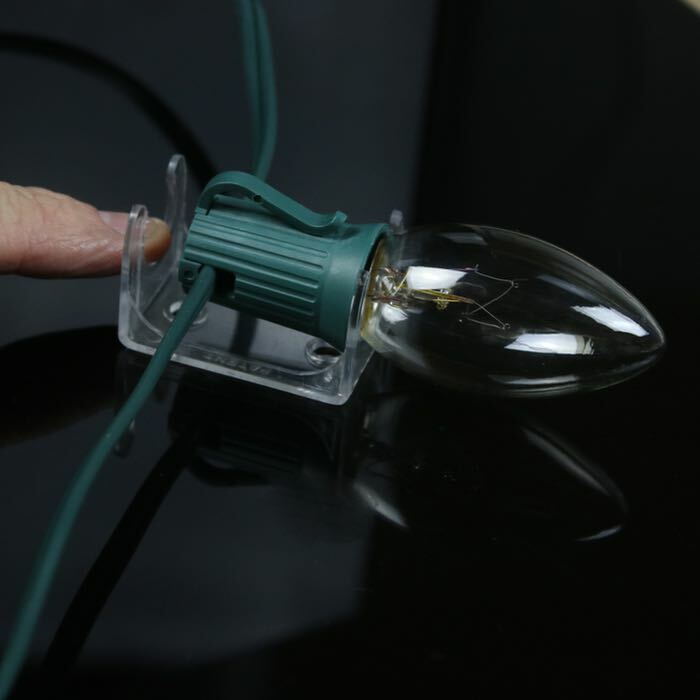 The clips actually snug down around the base of the installed bulb to hold them in place and non-standard strings are not compatible. This item is for 500 of the Combo C clips. If you think you'll need more clips for your installation or want to keep replacements on hand, consider our 2000 clip case. Not for permanent installation, our clips are warranted for 90 days of seasonal use. These clips are clear plastic and are tailored for use with C7 and C9 bulbs installed in 18 AWG stringer wire. They don't work with pre-wire bulb sets that have smaller bases. A: These clips work with the C7/C9 screw-in type LED bulbs. It will not work with the pre-wired strands because they have a smaller base. Q: What is the dimensions of this clip please? How many clips come in a package? Can you ship them to Point Roberts Washington? Approximate Total Length	1 5/8"
For this item number, this is a box of 500 clips. As long as UPS or FEDEX delivers to your address we can ship them to you. Please keep in mind that these clips are tailored for the traditional C9 stringer cord and screw in C7 or C9 bulbs. (Either LED or incandescent retrofit bulbs.) They are not designed for pre-wired sets where the bases are smaller.